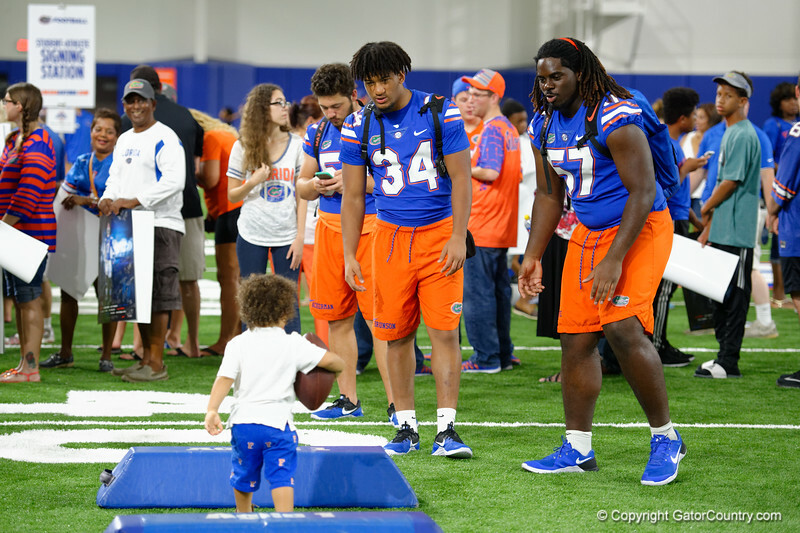 University of Florida Gators linebacker Lacedrick Brunson and University of Florida Gators defensive end Elijah Conliffe as the Gators hold their annual fan day, signing autographs and mingling with the fans. August 19th, 2017. Gator Country photo by David Bowie.